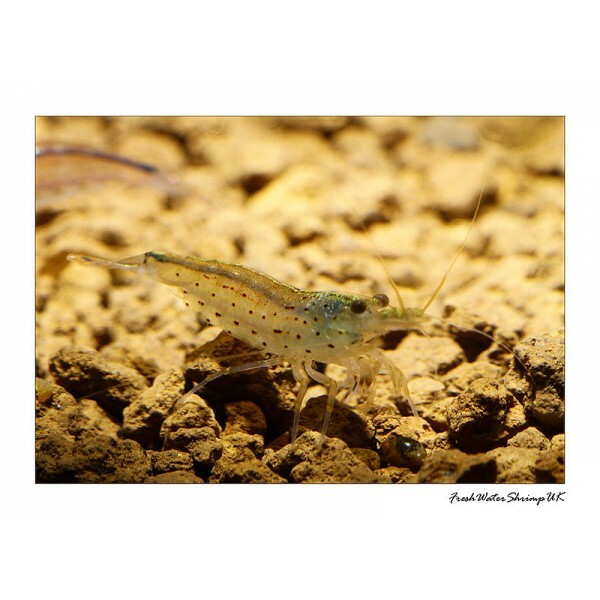 Caridina Multidentata - Amano shrimp is easy and very hardy shrimp to keep suitable for wide water parameters. Appearance: Amano shrimp coloration may vary but usualy has transparent body with small horizontal dots. Mutations may occur for example shrimp may turn slightly more blueish or reddish depends on water parameters and age. 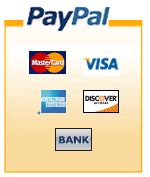 Breeding: If water conditions are good﻿ shrimp will breed readily when matured (3-4 months old). Shrimp will carry around 100 eggs for around 30-35 days of gestation period. After this period larvae are released which require brackish water to fully develop. Raising offspring's is therefore very tricky but not impossible. 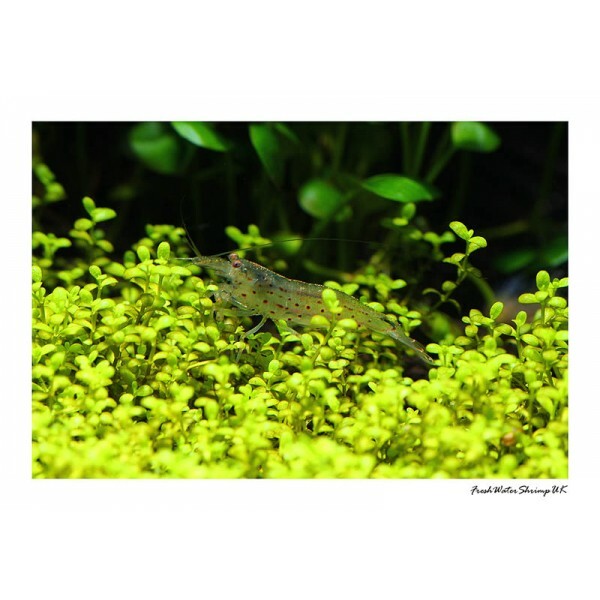 Tanks mates: This shrimp is generally larger, can be housed with fish of similar size or with any neocaridina or caridina shrimp. They will not crossbreed or bully smaller shrimp.